Julie and I have been scrambling for most of the offseason. 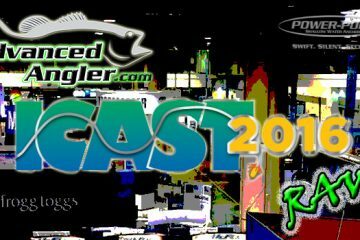 Along with the ever present business of working with current sponsors and looking to partner with new ones, I’ve been finalizing my schedule for 2011, and I’ve got quite a few tournaments that I’m fishing. 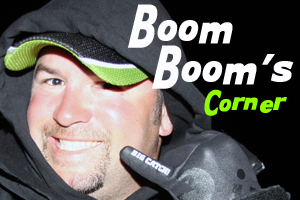 I’m confirmed in the Elite Series, the four FLW Tour Opens and the B.A.S.S. Northern Opens. I’m also probably going to fish the PAA Series, but haven’t quite made up my mind yet. That gives me 12 events that the first prize is $100,000 and several other tournaments that I can earn quality paychecks. The goal for the year is to make 10 of those tournaments result in $10,000 paydays. I want to make the Classic again, which will cap what I hope is a great year. 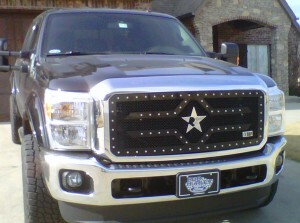 In preparation for the year, we bought a new truck at Bob Hurley Ford in Tulsa. 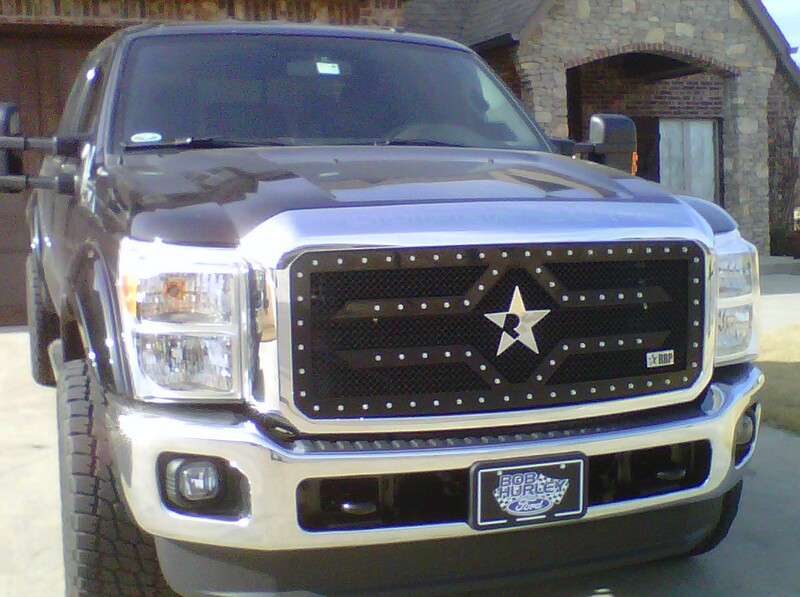 It’s a black F250 Super Duty with black Rockstar wheels and a custom grill which they only made 16 of for the year. The truck is awesome, and it’s even got Jackson’s little movie theater in the back for our road trips. The guys at Bob Hurley took really good care of us, and I appreciate it. My new Triton 21HP and I’m running the new Mercury Verado 250 Pro Four Stroke on it. The boat is somewhere in the production process, and I’m looking forward to getting it and getting started. I’ve also been going through my tackle, and getting it ready. One of the biggest things was ordering my Gamakatsu hooks for the year. I’ve got a bunch of new baits from El Grande lures that I needed to outfit with hooks. This is also the time I change out hooks on my Hardbaits, so I put new Gamakatsu trebles on my ima Roumba’s and other baits. I’ve also been stocking up on P-Line and getting my Ardent reels ready too. They’ll all be outfitted on my new set of iRods, so the offseason has been busy. I have a theory for this year; I had my best season in 2007, and now that I’ve got a 2011 truck and a boat, I figure their going to bring me good luck. Seeing as how seven and eleven are lucky numbers in gambling, I’ll ride those numbers to a successful year. Christmas was nice and relaxing, for the most part. We had Christmas morning here at our house, then went to Julie’s mom and dad’s for the rest of the day. Most of our excitement can when Santa came to our house a little early. He knocked on the front door on Thursday and walked in the house; Jackson was amazed that Santa came to visit him at home. We had a funny Jackson moment a few days ago. He came in early one morning and jumped on my head while Julie and I were sleeping. I didn’t quite know what to say, so I just said, hey there. He looked at me and said, “that was a funny move on your part dad.” We all started laughing. There’s never a dull moment around here.